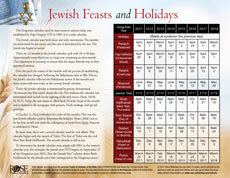 Do you consider Passover an old Jewish tradition, solely to be viewed as an academic study by Christians? Or do you and your church friends get together and repeat a seder every year in remembrance of Jesus’ sacrifice? What comes to mind when you read Paul’s words in 1 Corinthians 5:7-8? What Does the Seder Have to Do With Us? In 1 Corinthians 5, Paul wasn’t just cautioning the people of Corinth against sin, but pride as well. He makes reference to the leaven of the Pharisees that Jesus alluded to in Matthew 16:6, and just as they were warned of sin and pride, we need to be aware of our potential to misstep in the same ways. Paul encourages believers to “keep the Festival” in order to remember God’s liberation of Israel from Egypt as well as Christ’s sacrifice for us that continually frees us from sin and pride when we turn to him. Isn’t this glorious reminder? No wonder Paul urges us to remember this feast! Some Christians choose to observe Passover with a Jewish seder, but we can also see important parallels between Passover and the Lord’s Supper of the Christian faith! Read the following free eChart to see how the cup, bitter herbs, and the matzo align with the wine, foot-washing, and the bread-breaking that Jesus demonstrates for us during the Last Supper. Want to Recreate Your Own Christian Seder? Got everything? Now you’re all set to celebrate and observe Christ’s sacrifice and God’s faithfulness and goodness. Going all out? Traditionally a full seder is served with a meal. Click here to get free access to our Feasts of the Bible Pinterest Board that includes delicious recipes you can use for your seder meal! “Christ in the Passover” is a fascinating study of the Hebrew roots of Christianity especially in the symbolism of the Passover compared with Jesus as the perfect sacrifice and great high priest. It includes a Christian version of the Passover seder, along with the meaning of Passover for Christians. The Old Testament origin and celebration of the Passover. The relevance of the Passover feast for Christ’s followers today. A comparison of Jesus with the Passover lamb. Passover in 2015 is April 3 (starts at sundown April 3, 2015). This pamphlet includes a script for a 30-to-40 minute Christian Passover seder that you can do with your own family, a Bible study or entire church. It is perfect for bringing together all ages. Young and old people have simple yet special parts to play in the telling of the Passover story. The 14-page pamphlet can be purchased as a physical pamphlet, or download the PDF right now. Includes the Passover recipes, a Christian Passover script, a glossary of terms, fascinating facts, and comparisons between Christ and the Passover lamb. Did a thoughtful friend share or forward this post to you? Subscribe now so you don't miss another one!